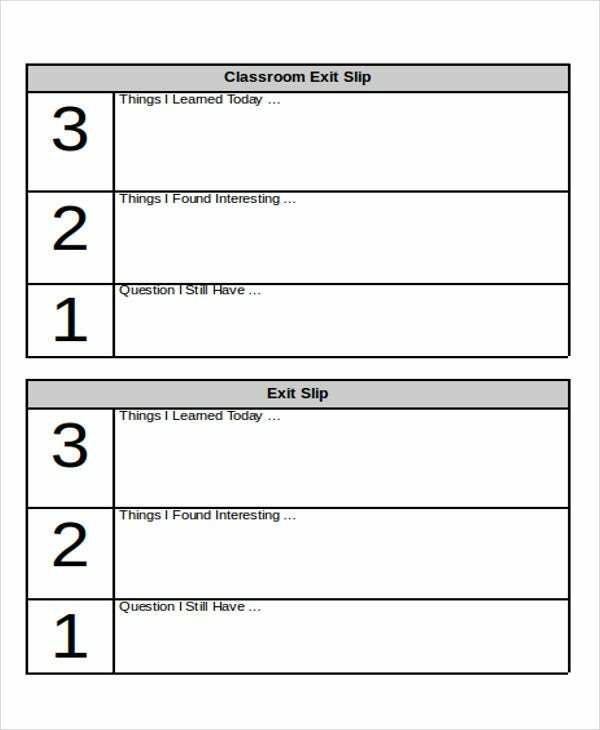 An exit ticket is the sheet that students answer at the end of every class which allows them to summarize what they have learned and the things that they want to improve regarding a specific subject discussion. 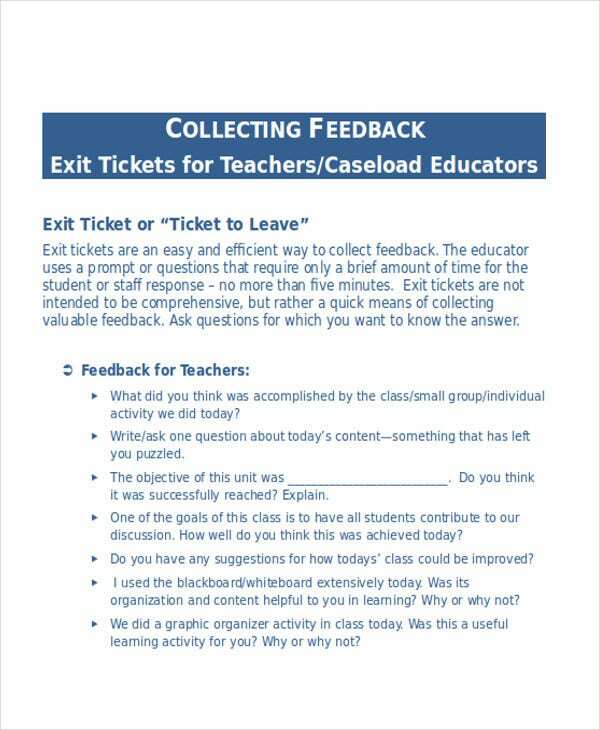 Teachers use the information gathered from this document to know if they are effective and efficient in terms of delivering their lessons to their students and if they can positively affect the learning processes and demands of the children that they are teaching. 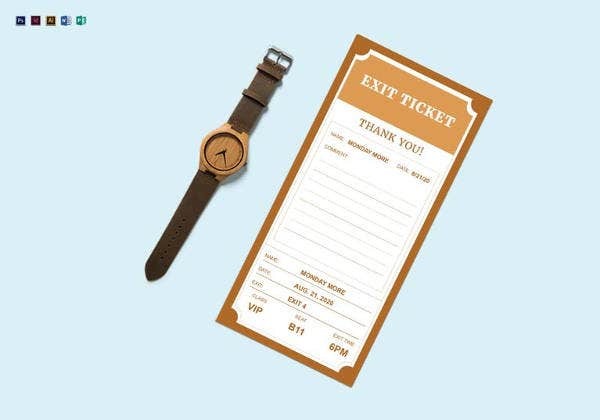 If you want to know the items that are included in an exit ticket, you may browse through the samples that we have provided for you in this article. Other than that, we also have other samples of ticket templates usable for the particular purpose that they may serve. It allows the professor in a particular subject to know if the items that he or she has taught have been instilled in the minds of his or her students. 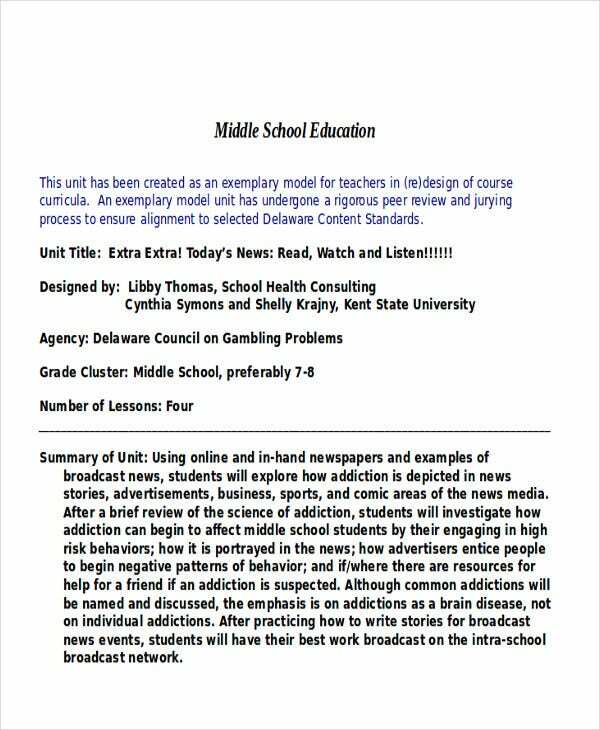 It gives the students the chance to give recommendations, suggestions, and feedback about the class, which may include the teaching style used by the teacher or the phase of the learning process that they undergo. It helps in ending the class well as interactions that are not spoken can be written so that it may still be discussed, just in a different medium. 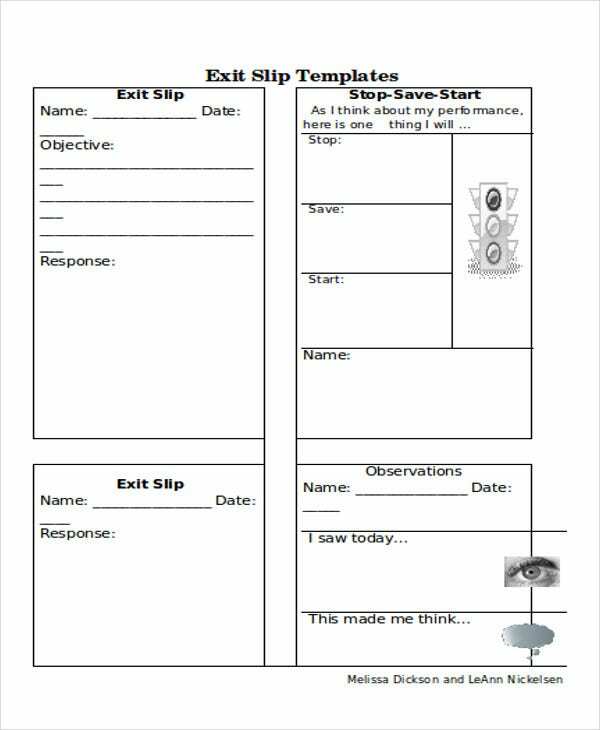 It assures that the student are able to create a conclusion of what they have learned and how effective the entire duration of the lesson has been. 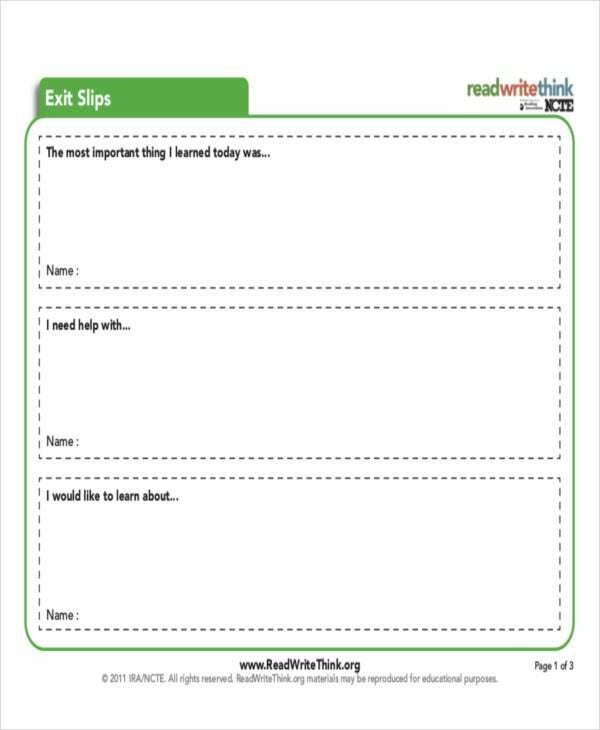 It gives the students the time to think of other significant academic questions for discussion and solutions to the challenges that they face in the lectures, which can be additional areas of learning. Other than our exit ticket samples, you may also be interested to browse through and download our samples of ticket invitation templates. 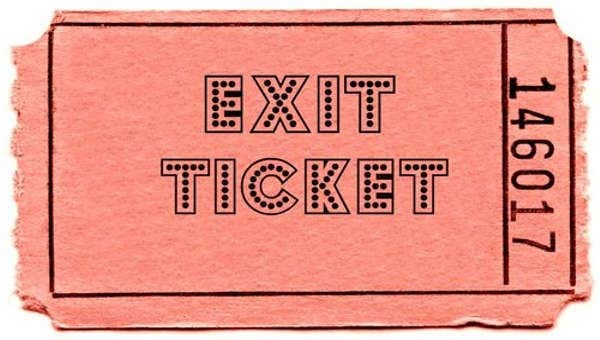 There is an ongoing communication with both ends regarding the content of the exit ticket. The student knows his or her strengths and weaknesses in the classroom. The teacher is assessed based on his or her ability to teach the lesson and not based on how the students feel about the subject being taught. 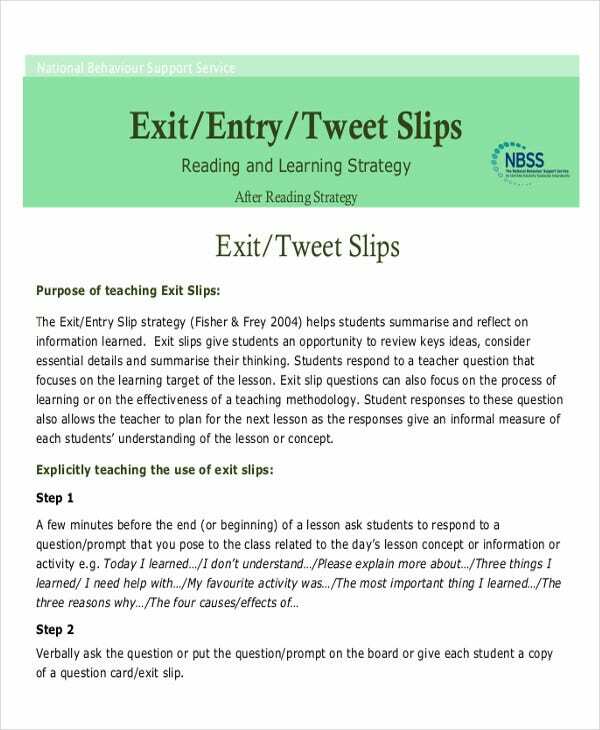 A more elaborate discussion may take place in an exit ticket depending on the format of the document that is being followed by the academic institution where a student is currently enrolled in. 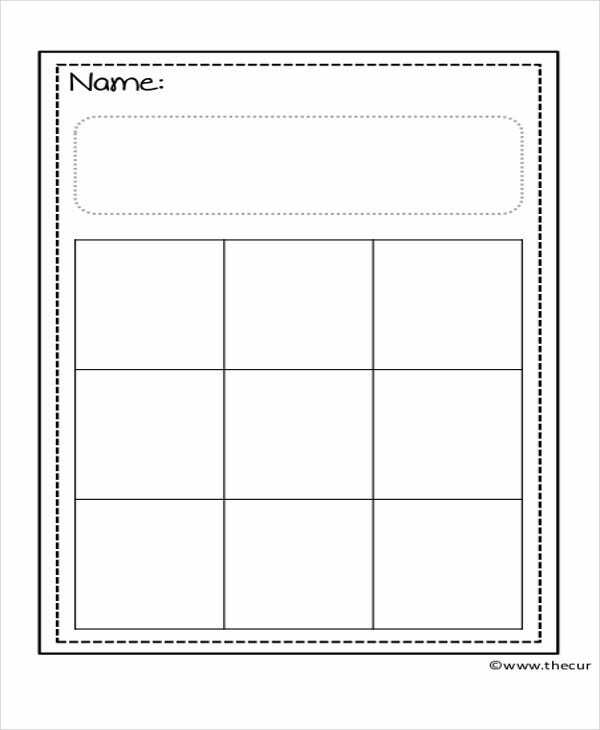 Other than our exit ticket templates, our samples of different blank ticket templates are also available for download.